Looking for engagement rings to get your girlfriend? However, you have no ideas as to what style of ring of cut of gemstone she will prefer? Don’t worry, you are not alone! Millions of men have been struggling with this dilemma for years. Luckily, we have some advice on how to your girlfriend’s style and preference without giving it away! And of course, you will also are probably wondering how to find out your girlfriend’s ring size without asking her as well! No worries, we have some sneaky tips. So, how you can find out this important detail without her being none the wiser. If the two of you have ever discussed the prospect of marriage, you can bet that she has thought about it. As such, she has probably even started planning for it! (Don’t panic, men, every woman starts planning for her wedding as soon as she can walk!) And if she happens to have an active Pinterest account (as do most women, because Pinterest is extremely helpful), chances are she probably has a Pinterest board entitled “My Wedding” or “Wedding Ideas”. However, we can pretty much guaranteed that she has already pinned some pictures of engagement rings that she likes. You can also check her other accounts, such as Facebook, SnapChat, Tumblr, Twitter and such. But we can safely say that Pinterest is probably your best bet if you are looking for her specific taste in jewelry. We don’t mean you have to take her engagement ring shopping, unless of course you want to do so. If you have proposed spontaneously and do not yet have a ring, you can shop together, which makes your job a lot easier if she is with you to chose her own ring. What we mean in this instance is that you can take her to the mall or a department store and just browse around. You can happen to linger at the fine jewelry section and observe her reaction to various styles of rings. Again, make sure to note what type of gemstone and precious metals she prefers as well as the style of the ring itself. Pay attention to her everyday jewelry. Does she wear a lot of gold? Or silver? (which could mean she would prefer platinum or white gold) Is her taste simple and demure or flashy and trendy? You can also sneak a peek at her jewelry box when she’s not around to get a closer look at her personal style and tastes. Does she have a flair for vintage jewelry or does she lean towards a more modern vibe? 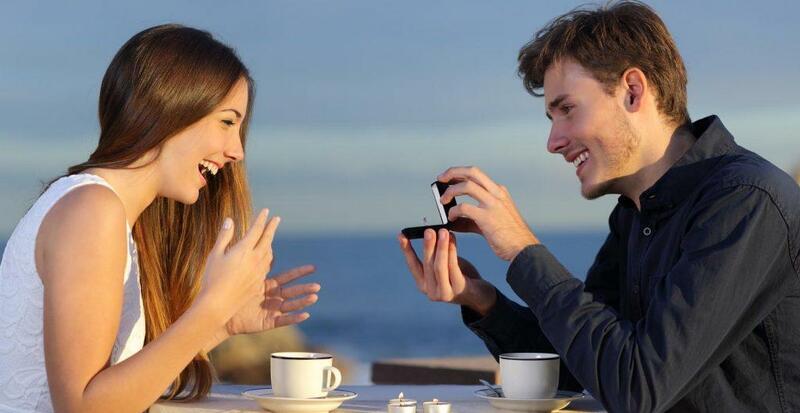 By observing her current rates, you will have a better sense of what she would like in an engagement ring. And if she tries on a ring or two for fun, you can also find out her ring size without having to ask! If you want more advice, you can always ask her mother, sister or her best friend. They would have a pretty good idea as to her jewelry style. 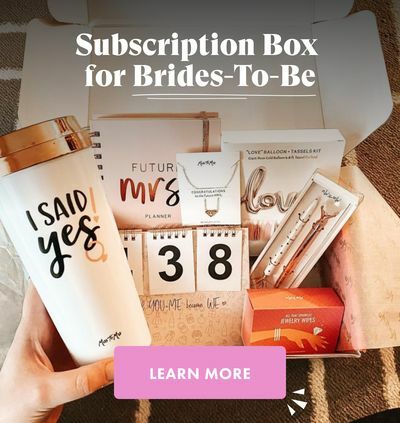 However, unless your girlfriend already knows you are going to pop the question, you need to be sure that you can trust them not to spill the beans and ruin the surprise! Once you have an idea as to what kind of ring she wants, you will need to find out her ring size. If you are a little off, you can always have the ring resized. Most jewelers have the option to have the ring resized at no additional cost. You can always borrow one of her current rings and take it to the jeweler to have it sized professionally, . Make sure it is not one that she wears every day and won’t readily miss. And don’t forget to return it when she’s not around! As well, you can purchase a ring sizer and size it yourself instead of going to a jewelry store. You can purchase these online or at any jeweler’s shop. Again, you can ask her mother or sibling if they know her ring size. Or you can have them find out for you. It might seem less suspicious if it comes from someone else. You can even enlist the help of her best friend. They can simply “swap” rings and she can nonchalantly as her ring size. Again, make sure it is somehow you can trust. Other ways to find her ring size is to make an impression of one of her rings in a bar of soap or to gently and carefully measure her finger with a piece of string or a cloth tape measure while she is asleep. We hope our advice has been helpful! Now you know how to find out what style of rings to get your girlfriend without her knowing! So get out there and find the perfect ring!